The UK uses 7 million disposable cups every day or 2.5 billion each year, less than 1% of these cups get recycled. 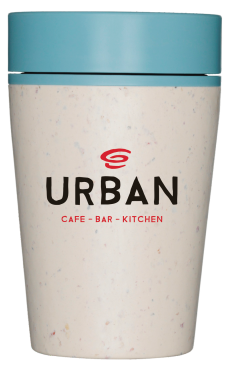 Urban is NOT ok with this, our disposable cups are bio-degradable but we want to do more to protect the wonderful world we live in. Though disposable cups are made largely of paper, disposable coffee cups are lined with plastic polyethylene, which is tightly bonded to the paper making the cups waterproof and therefore able to contain liquid. In addition, the difficulty of recycling coffee cups is increased by the fact they are contaminated with drink. This means cups cannot be recycled at standard recycling plants, and must instead be taken to special facilities of which only three exist in the UK. 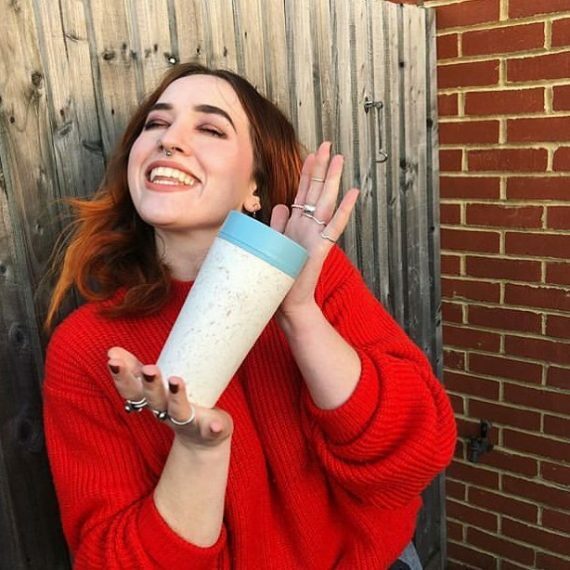 A re-usable cup needs to be used less than 20 times to become more efficient than a single disposable cup, this considers the energy required to create the re-usable cup. One way for us all to cut down the number of disposable cups we use it to get a re-usable cup for our morning cup of Joe. We spent way too much time testing out re-usable cups, you could say we are a bit of an expert now. 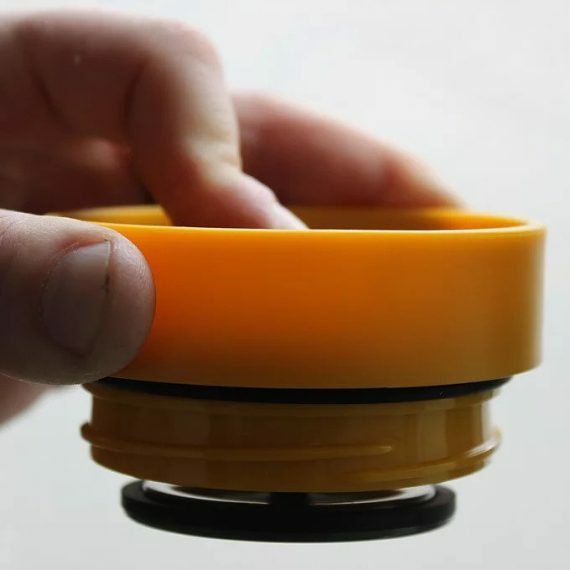 We looked at KeepCup (you see these in lots of coffee shops), SolCups and many more to come up with the answer. Introducing the Urban rCUP. 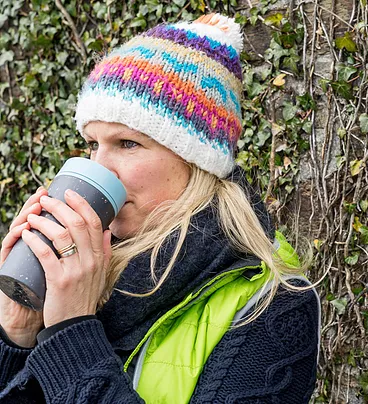 The world’s first reusable coffee cup made from used paper cups. 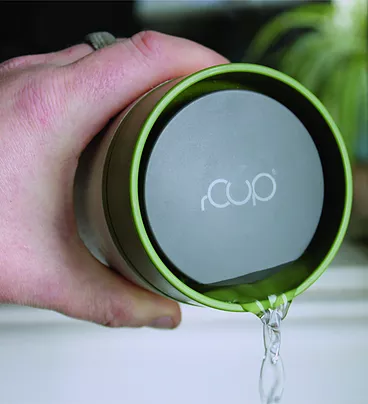 The rCUP reusable coffee cup is the brainchild of former Dyson designer Dan Dicker and a team of recycling experts who set out on a mission to create the best reusable cup on the market today, we think they have cracked it. The whole cup is 100% recyclable along with your other household recycling. No more drinking your coffee through a small hole. The Urban rCUP reusable coffee cup is designed for 360° drinking so you never need to check where to drink from and, best of all, you get the full coffee aroma with every sip. 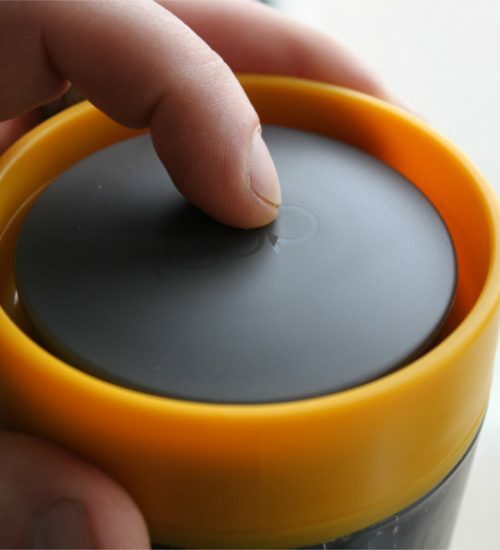 Our rCUP’s innovative design makes it quick and easy to open and close with one hand. 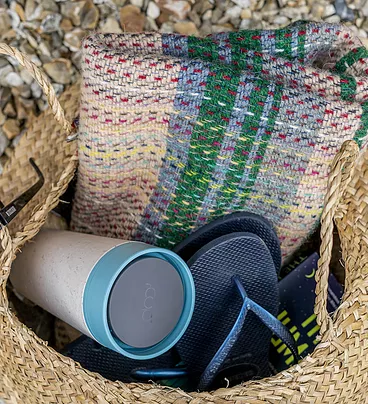 The perfect travel mug for when you’re on the go, on the phone or just juggling! You need to be able to use the Urban rCUP anywhere and anytime. So we’ve made it completely leak proof. You can carry our travel mug anywhere without spilling a drop. Our reusable cup is fully insulated, so it’s comfortable to hold and keeps your drink hotter or cooler for longer. Lattes and cups of tea will stay warm in an rCUP for at least 1 hour and 20 minutes. Head into an Urban Emporium and grab yourself an rCUP from 1st Feb.